Move On Move Up is Back! 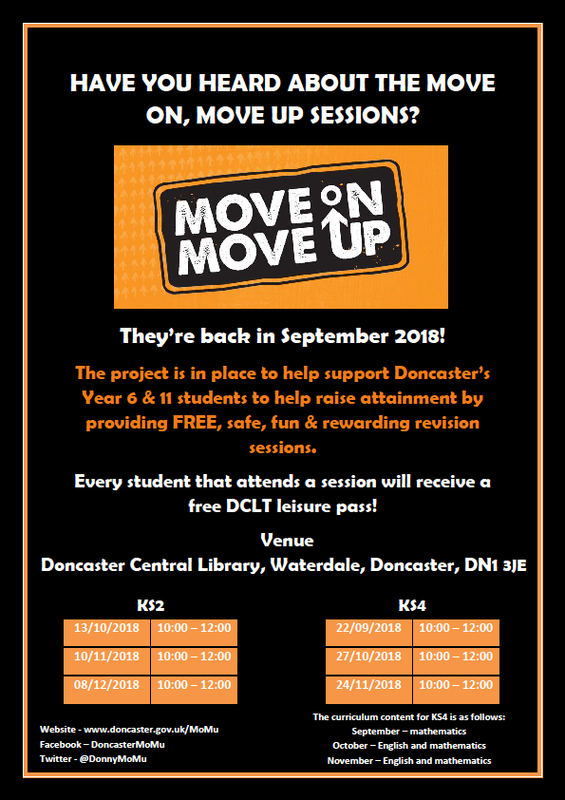 After the great success of the Move on, Move up sessions earlier this year, we are pleased to announce further sessions, which will run at Doncaster Central Library starting on 22nd September 2018. For those of you who are unaware of the programme ‘Move On, Move Up’ is an initiative designed to support the work our schools already do to help Year 6 and 11 students with exam preparation and revision. Every student that attends a session will receive a free DCLT leisure pass.